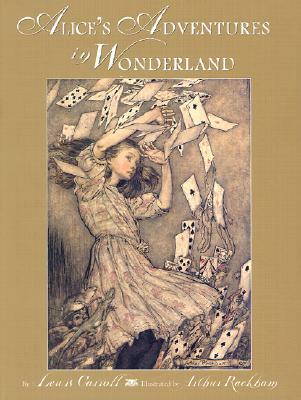 The classic tale of that ever-curious little girl who tumbled down a rabbit hole into Wonderland has enchanted readers for nearly 140 years. Today, Alice and the eccentric creatures that she meets-the Cheshire Cat, the Mock Turtle, the Queen of Hearts, the Mad Hatter-continue to be among the most-loved characters in all literature. This deluxe facsimile of a rare edition, illustrated by beloved artist Arthur Rackham, is a sumptuous celebration of this timeless story. Painted with the dreamlike watercolors and subtle detail that brought Rackham international fame, the book's thirteen elegant full-color plates and fourteen black-and-white drawings make this a delightful keepsake for readers of all ages. Lewis Carroll is the pseudonym of Charles Lutwidge Dodgson (1832-1898). He is best known for his two Alice books, Alice in Wonderland and Through the Looking Glass, and The Hunting of the Snark.